I want to use Invoice Factoring – What About my Customers? So you want to use invoice factoring to finance your business but are concerned about letting your customers know? Customer relationships are extremely important. The main concern is that if you are not handling your own accounts receivable, there is a chance that things could go wrong, and your customers will be unhappy. It is important to understand that when you start factoring your accounts receivable, your customers will be notified that their invoices must be paid to the factor and not to you. Invoices will also need to be verified. The common misconception is that using an invoice factoring company may mean that your company is experiencing financial hardship. The truth is that invoice factoring is used by many companies of many sizes, and has become an accepted method of alternative funding. Your customers may even be using this popular form commercial financing to improve their cash flow. Consider the added benefit of not having to worry about invoice collection, giving you more time to concentrate on running your business and developing stronger customer relationships. There is a fear of relinquishing control of invoice collection. How will a factor handle overdue invoices? Will they be rude to my customers and demand payment? These are genuine concerns, and it is important to carefully vet your potential factoring service and ask the right questions concerning how they go about contacting your customers and requesting payment. However, it is worth considering the benefits of using a professional and established factor that understands about customer relationships, and has made it their job to handle customers with care as they deal with collections, and the many intricacies involved, on a daily basis. Remember that your factoring company wants to keep you happy. When you are in the process of choosing which company to use, consider how they treat you, and this will give you a good indication of how they will interact with your customers. An experienced factor has many years of experience, and a deep knowledge of the accounts receivable process. Many factors also specialize in industries such as trucking, staffing and manufacturing, and understand the intricacies and complexities of these different markets. Do they specialize in my industry and offer added benefits? Is there a dedicated account management team and online client center? The reports allow you to view the data in different ways and using different variables so that you get the most complete cash flow picture. The client center tools are intuitive, requiring little training to get you up and running. 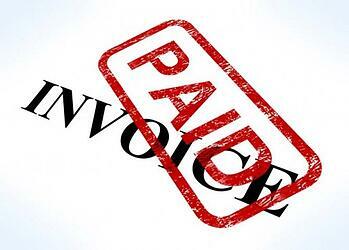 Invoice factoring can benefit both your company and your customers company. Enhanced cash flow for you, and well-managed account collection for them. Allowing a factor to manage the complexities of the accounts receivable process means you can concentrate on managing other vital aspects of your business.